Get into shape with this geometric themed puzzle! Learning shapes and colors has never been more entertaining! 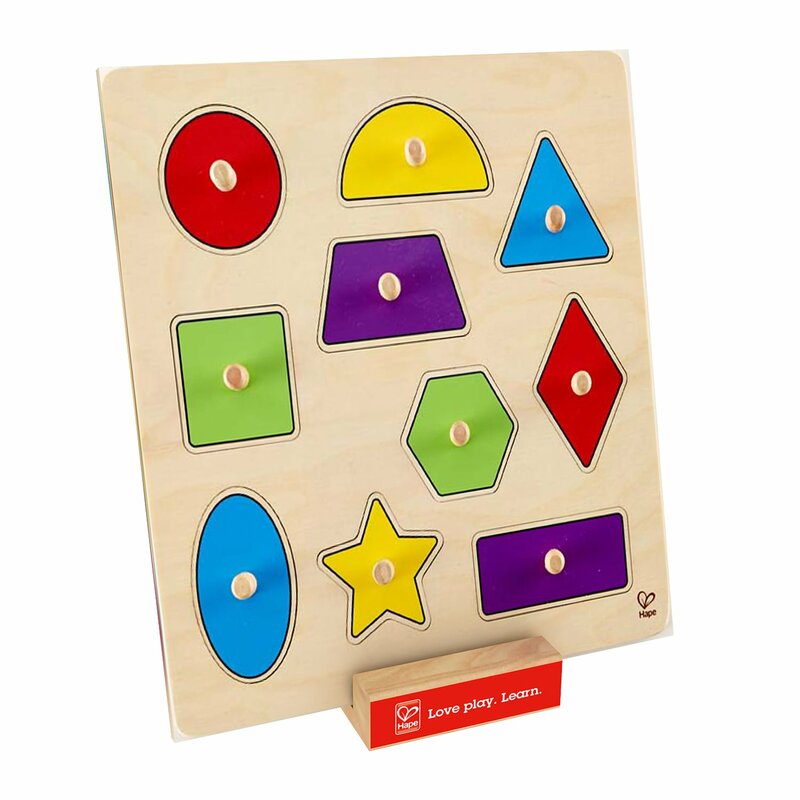 The GeometricShapes Knob Puzzle features ten dynamic shapes fit snugly inside a sturdywooden frame. Small knob handles make it easy for younger children to pick upand place each puzzle piece in it's correct spot, while the bright colors ofeach shape add visual appeal. Encourages development of fine motor skills,visual perception, and critical thinking skills. Made with wood sourced fromenvironmentally sustainable forests. Durable child safe paint finish and solidwood construction make this a toy your child will love for years to come. Hapetoys stimulate children through every stage of development and help nurtureand develop their natural abilities. All Hape products sold in North Americameet or exceed all applicable safety standards. The Geometric Shapes KnobPuzzle is a proud recipient of the 2015 Oppenheim Toy Portfolio Gold Seal andSpecial Needs Adaptable Product (SNAP) Awards.